The following articles are intended for clarinet and saxophone players looking for a fresh new start in 2019. Read these articles for some inspiration and get practicing! For those who are looking to get their start practicing saxophone and have limited time, start here. For teachers looking to motivate your students in this fun infographic. This is to help you get organized by breaking it down into 3 components. Once you are in the practice room, try these 10 strategies to help you be more efficient in your practice routine. It's not the amount of time you practice, it's the quality. Learn what makes a quality practice session. Don't reach a practice plateau...it all happens when you become complacent. Check out these hacks to break this practice merry-go-round. More of a visual learner? We've got the video just for you. Learn about how to breakup your practice session into 4 parts. Get these short exercise routines from clarinet pedagogue Paula Corley that will be sure guarantee results in your next practice session. Free PDF download included. Fancy a game? Test your knowledge with these common woodwind myths or truths. Learn these techniques on your saxophone to spice up your next solo: swoops, falls, playing it straight, adding vibrato. "A musician's level of performance will only rise to their level of expectation, so begin to expect a lot." There's a magical device that can help you with all of your practicing needs and we all know what it is, but, do you use it the right way? Here are some brief, yet practical suggestions for musicians looking to improve how they practice music. For any jazz players looking to improve their range, we talk with Lenny Pickett about his tips on improving your altissimo. 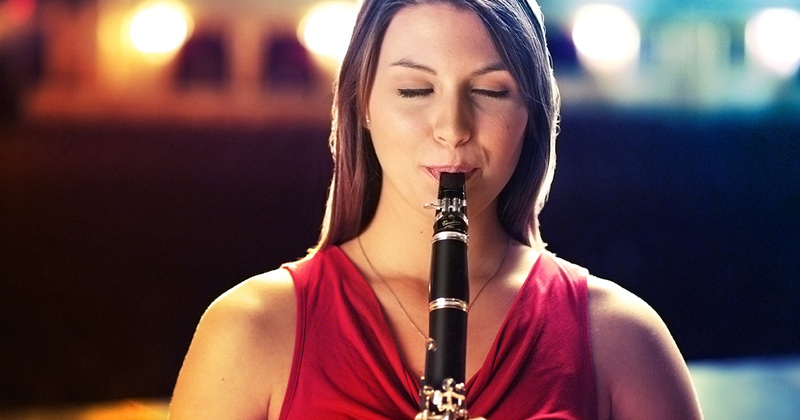 Watch this video on how to get a great sound on any clarinet or saxophone instrument. Practice doesn't solely include playing your instrument, it can apply to your ears, too! Learn the ins and outs of the famous Copland Concerto with recordings included. Let Pedrosaxo guide you in this quick video about how to start circular breathing. Denis Diblasio guides you in this video tutorial on how he uses a metronome to perfect his use of time in solos. Learn the 8 ways you can practice without the use of your instrument.